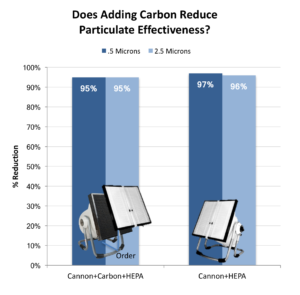 For people who need carbon (and that may not be everyone), I would recommend adding the carbon to the Cannon, but I would think twice about adding carbon to the Original. 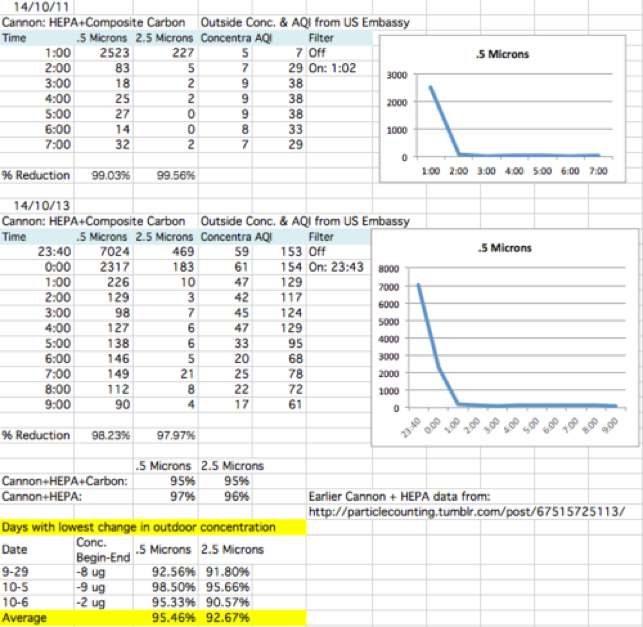 As always, I’m posting the raw data and more details on the test for fellow nerds below. 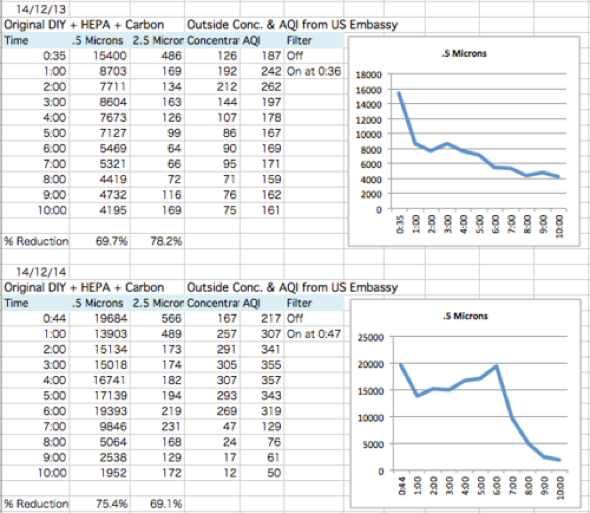 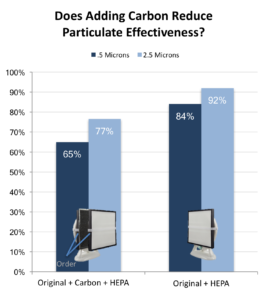 Over the 10 testing days, outdoor air pollution went down significantly on 6 days–poor luck! 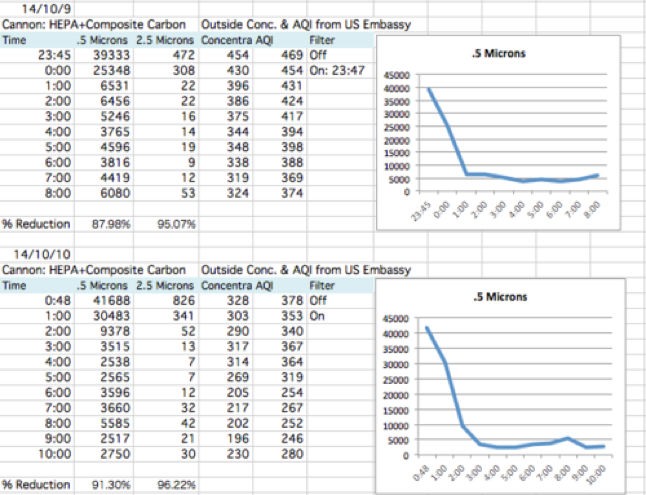 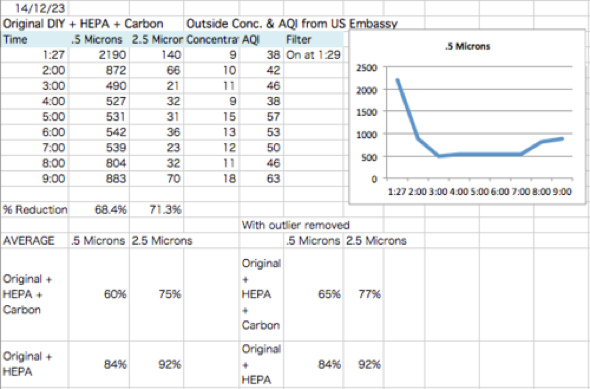 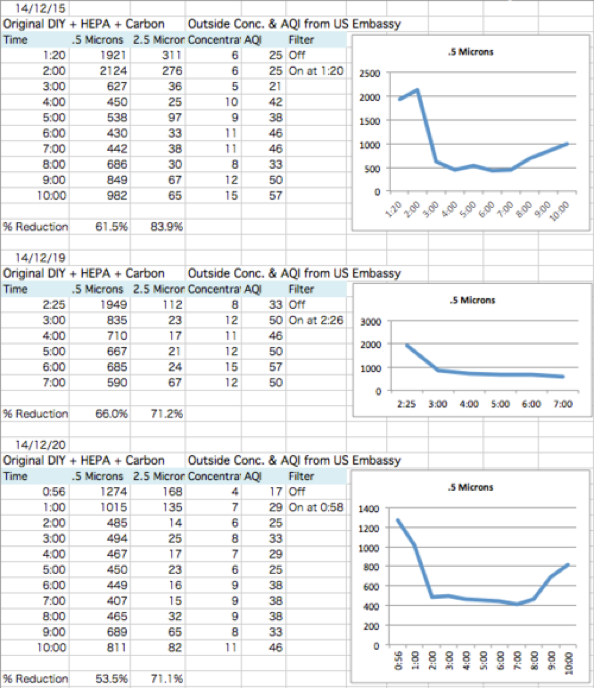 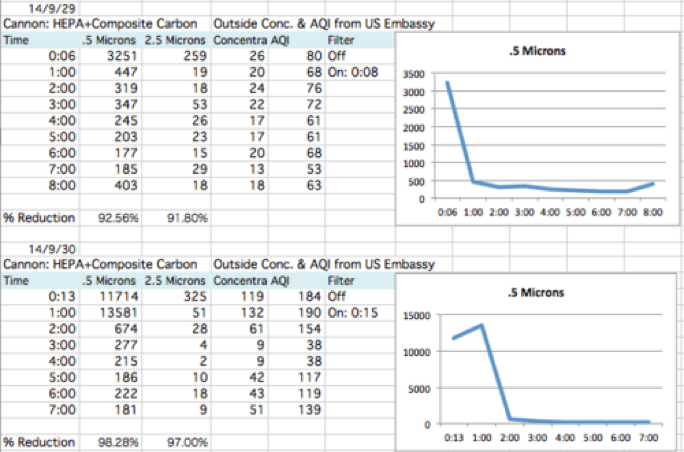 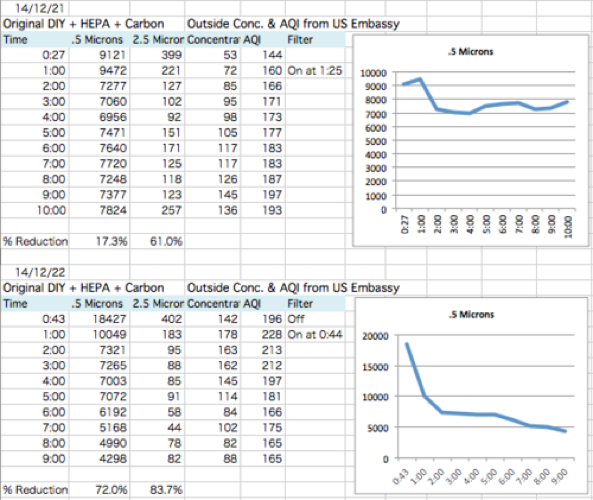 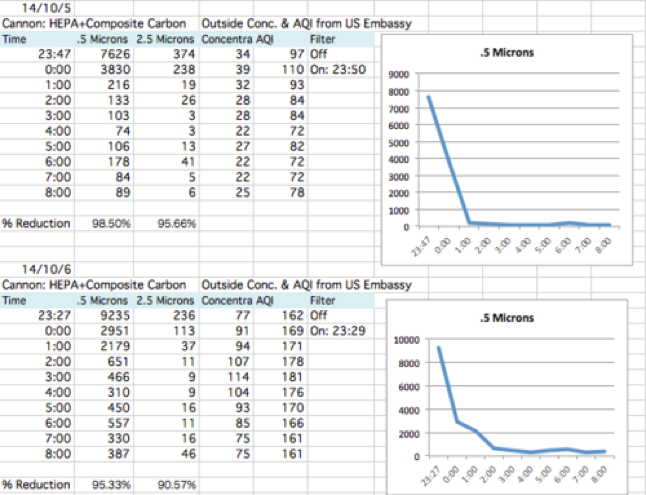 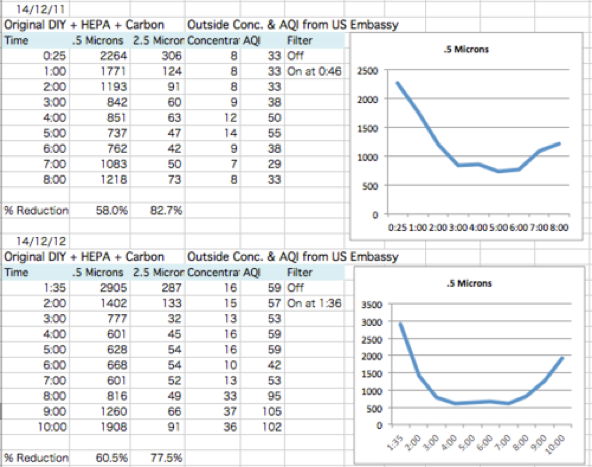 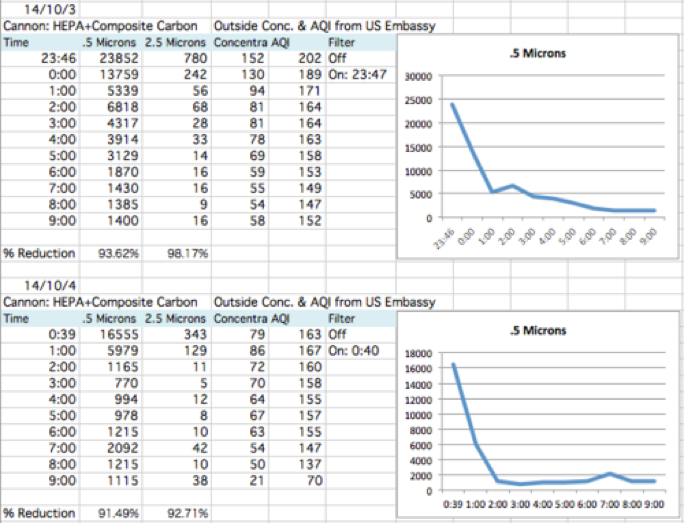 To test whether that affected the overall estimate, I isolated the three testing days with changes in outdoor PM 2.5 concentration of less than 10 micrograms.